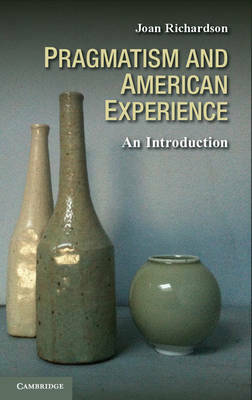 Pragmatism and American Experience provides a lucid and elegant introduction to America's defining philosophy. Joan Richardson charts the nineteenth-century origins of pragmatist thought and its development through the twentieth and twenty-first centuries, focusing on the major first- and second-generation figures and how their contributions continue to influence philosophical discourse today. At the same time, Richardson casts pragmatism as the method it was designed to be: a way of making ideas clear, examining beliefs, and breaking old habits and reinforcing new and useful ones in the interest of maintaining healthy communities through ongoing conversation. Through this practice we come to perceive, as William James did, that thinking is as natural as breathing, and that the essential work of pragmatism is to open channels essential to all experience.